Showing 1 - 20 of 785 results. Photograph captioned by Fairfax, "Mayor Bob Parker, too busy with meetings and work to get fully on the election campaign trail. 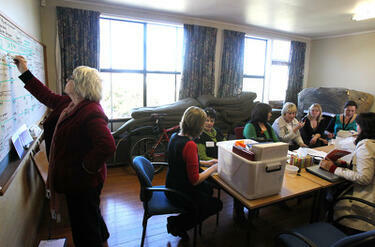 In a meeting with Jason Kerrison and Paul Ellis about the earthquake relief concert. From left: Jo Blair, Jason Kerrison, Paul Ellis and Bob Parker". 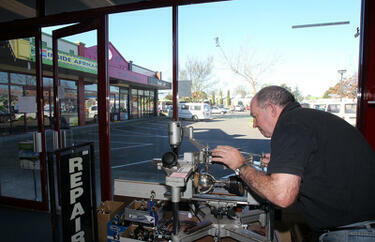 Photograph captioned by Fairfax, "Fred Arnesen from Beckenham Footwear and Engraving has had to move his business due to the earthquake damage to a much newer shop with higher rent". Photograph captioned by Fairfax, "Methodist Mission staff working in storage rooms above the Methodist Church on Harewood Road. 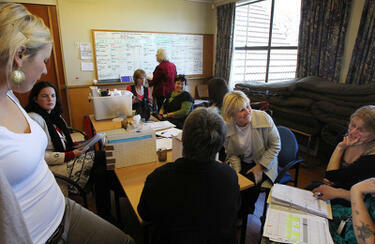 Roz Lefay writing on the white board". Photograph captioned by Fairfax, "Methodist Mission staff working in storage rooms above the Methodist church on Harewood Road. Mary Richardson is second from the right". 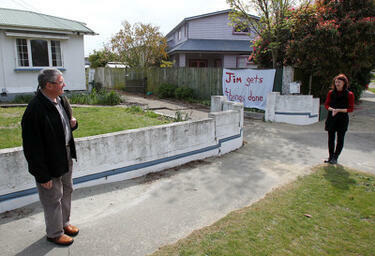 Photograph captioned by Fairfax, "Day with mayoral candidate Jim Anderton. 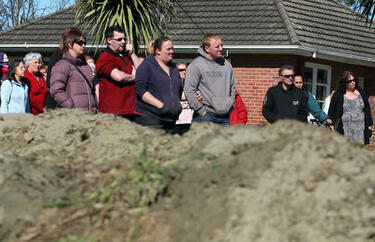 Talking to Nadine Garrett outside her totalled house on Avonside Drive". Photograph captioned by Fairfax, "Prime Minister John Key speaks with workers at Orion and thanks them for working tirelessly after the earthquake and restoring power to the city. 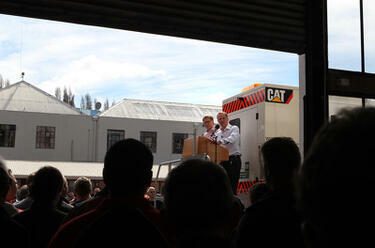 From left: Orion CEO Roger Sutton introduces Simon Wilson to Prime Minister John Key". 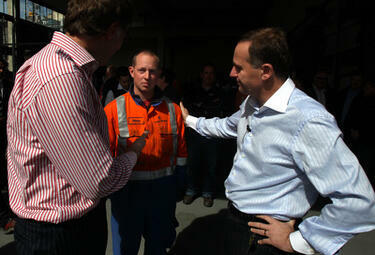 Photograph captioned by Fairfax, "Prime Minister John Key speaks with workers at Orion and thanks them for working tirelessly after the earthquake and restoring power to the city. Orion CEO Roger Sutton is left". 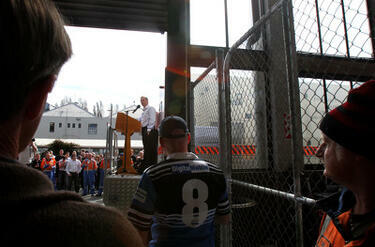 Photograph captioned by Fairfax, "Prime Minister John Key speaks with workers at Orion and thanks them for working tirelessly after the earthquake and restoring power to the city". 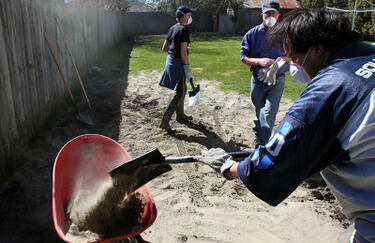 Photograph captioned by Fairfax, "Volunteers help clean up liquefaction on Acland Avenue. 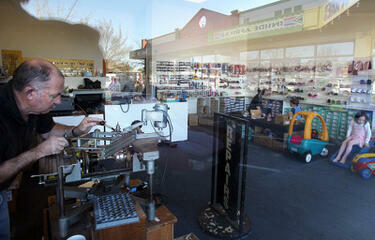 Robson Avenue resident Kelly Gearry". 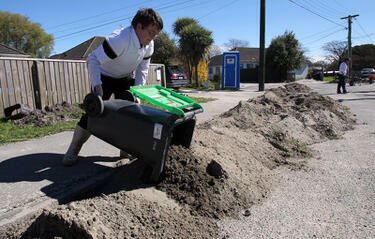 Photograph captioned by Fairfax, "Volunteers help clean up liquefaction on Acland Avenue. 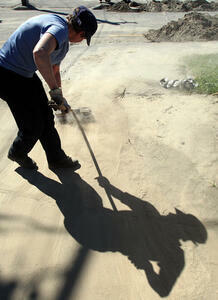 Volunteer Shona Green sweeping dust from liquefaction". 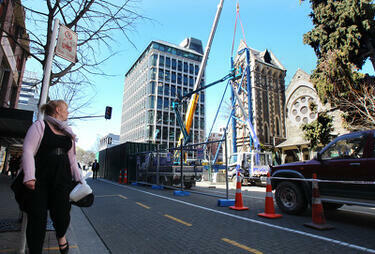 Photograph captioned by Fairfax, "Workers apply steel framing to protect a historic building, now the 'Octagon' restaurant on the corner of Manchester Street and Worcester Street". 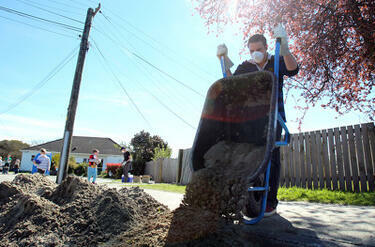 Photograph captioned by Fairfax, "Volunteers help clean up liquefaction on Acland Avenue. 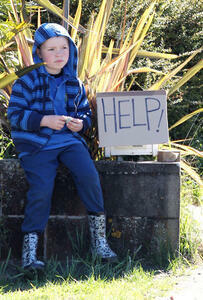 Volunteer Ewart Ward". 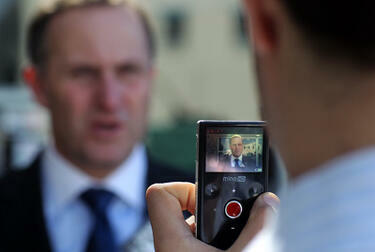 Photograph captioned by Fairfax, "Prime Minister John Key speaks to media after talking to business owners at the Kaiapoi Club". 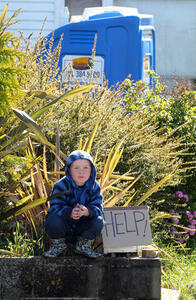 Photograph captioned by Fairfax, "Acland Ave and other nearby residents upset about houses that are green stickered being unliveable. They cannot access any relief funds. 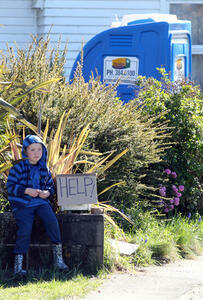 Acland Ave resident Toby Grant (7) outside his house where a Port-a-loo stands in the front yard". Photograph captioned by Fairfax, "Acland Ave and other nearby residents upset about houses that are green stickered being unliveable. They cannot access any relief funds. 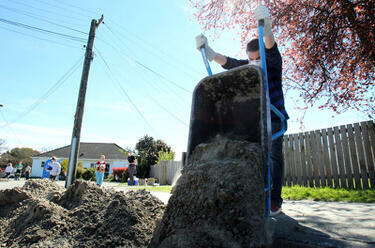 A meeting in the cul-de-sac where there are still piles of liquefaction".